According to the defender, the men insulted, threatened and sexually assaulted her with offensive groping of her private parts, then beat her on the back with an iron pipe. 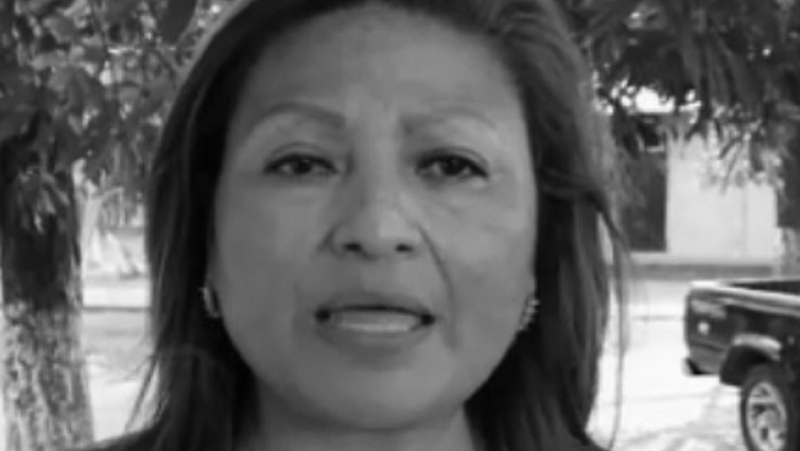 Due to prior threats, Nivia Vargas had already moved her family out of the city. The defender says that the protective mechanisms previously granted to her have been totally ineffective in the face of increasingly violent attacks. 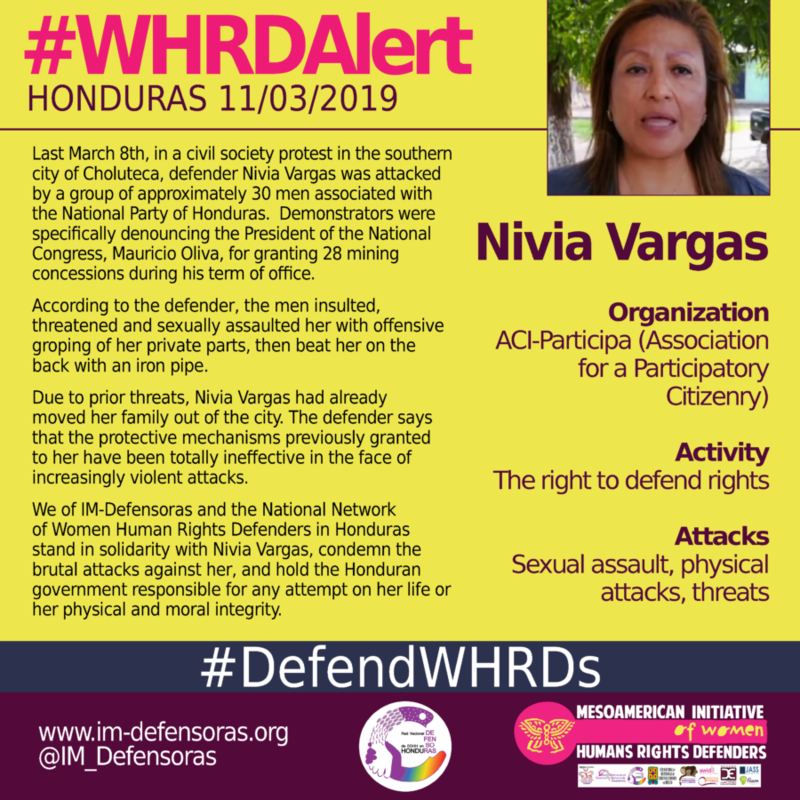 We of IM-Defensoras and the National Network of Women Human Rights Defenders in Honduras stand in solidarity with Nivia Vargas, condemn the brutal attacks against her, and hold the Honduran government responsible for any attempt on her life or her physical and moral integrity.